Today, the heart shape is the universal symbol of romantic love. It can be seen all around us, but mostly as a heart emoticon on social networks. People send millions of digital hearts over the web every day to express their adoration to someone, or to something. We all know the meaning of this symbol today, but where does it originate from and what was its primary purpose? Like with many symbols, there are a few theories about the origin of the heart shape. The heart shape, by a modern definition, is an ideograph used to express the idea of the “heart” in its metaphorical or symbolic sense as the core of emotion, affection, and love. It refers mostly, but not only, to romantic love. One of the theories suggests that the origin of the heart symbol can be traced back to an ancient plant called silphium. Silphium was a species of giant fennel that used to grow on the North African coastline near the Greek colony of Cyrene. The Greeks and Romans used it as a spice, medicine, but also as a form of birth control. Its protective properties have been mentioned by various ancient writers and poets. The fact that it was extinct by the first century A.D. speaks about its popularity. 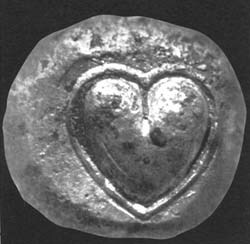 On some of the ancient depictions, the seed of the silphium resembles the modern heart shape. Besides this theory, some researchers believe that the heart shape originates from other plants such as ivy leaves, or the leaves of the water-lily. Others speculate that it was modeled according to the shape of breasts, buttocks or some other parts of the human body. Historically speaking, the first known depiction of a heart shape, which can be vaguely considered as a symbol of love, was made in the 1250s. It appeared in a decoration of a capital letter “S” in a manuscript of a French romance called “Roman de la Poire” (Romance of the Pear). 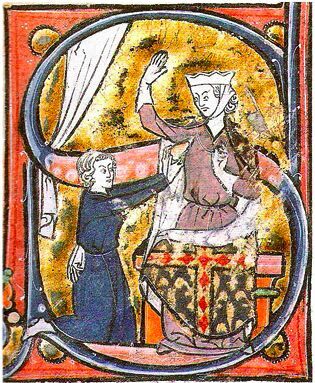 This miniature depicts a kneeling lover who offers his heart to a lady. This heart shape is similar to a pine cone, and it is held upside down (not in the usual position of the heart shape that we know today). Researchers only assume that the pine cone-shaped object is a heart because its part held by the lover is hidden. The name of this novel is “Romance of the Pear,” so the object may also be a pear. Another theory suggests that Pierre Vinken proposed it and Martin Kemp explains that the heart symbol is probably shaped according to the writings of Galen and Aristotle. These ancient philosophers described the human heart as an organ with three chambers and a dent in the middle. Vinken and Kemp believed that the heart shape was created during the Middle Ages by scientists who tried to visualize ancient texts. For example, Guido da Vigevano, a 14th-century Italian physicist, made some anatomical drawings of a heart that are very similar to the descriptions made by Aristotle. These depictions, along with the presumption that the human heart is connected with emotion and pleasure, transformed the heart shape into a symbol of medieval love. There are many examples of the heart symbol in medieval art. 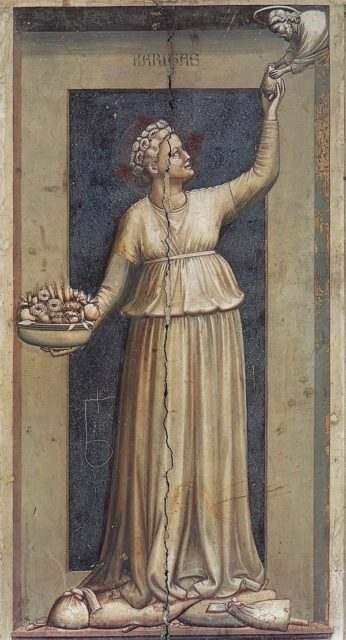 In 1305, the famous Italian painter Giotto made a depiction of Charity (Caritas) in the Scrovegni Chapel (Padua) in which she gives her heart to Jesus. This heart shape also has the pine cone shape, and it is upside down. Giotto’s depiction had a huge influence on the representations of the heart symbols in paintings from later periods. 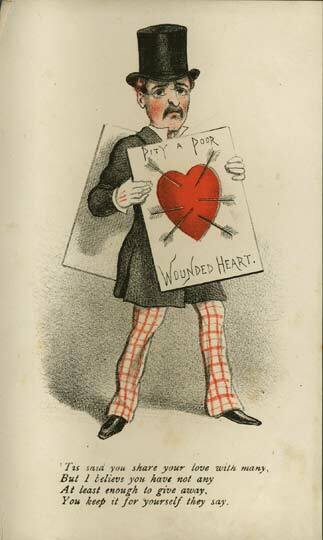 Up until the late 14th century, the heart was usually shown upside down. This tradition changed in the first half of the 15th century. Another change happened during this time, which shaped the heart symbol as we know it today. The dent on its base started to appear. At first, the dent was small, and it gradually began to expand. 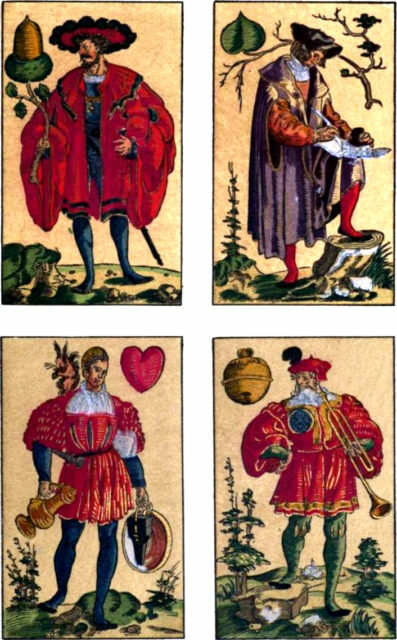 Since the late 15th century the dented red heart symbol was a common sight, and it was even used on playing cards. As an already established symbol of love, in the 19th century, the heart began to appear on St. Valentine’s Day cards, candy boxes, and other objects. Since then, the symbol entered pop culture and became an integral part of people’s communication.